Artist's concept of SatRevolution's planned 3U cubesat. Credit: SatRevolution. WARSAW, Poland – Polish company SatRevolution S.A. has unveiled plans to set up the country’s first satellite production facility that is to make small spacecraft in cooperation with foreign space industry players. SatRevolution says its Swiatowid is the first commercial satellite to be produced in the Polish market. The company is also developing two Rusalka PhoneSat nanosatellites. The production facility is to be located in close proximity of Wroclaw, a city with more than 630,000 inhabitants, located in Poland’s southwestern part. Setting up the plant in the city’s high-tech special economic area, the EIT+ Wroclaw Research Center, is expected to provide the company with preferential tax treatment for its manufacturing project, and it could also facilitate the acquisition of co-funding from the EU which will complement funds from private investors. 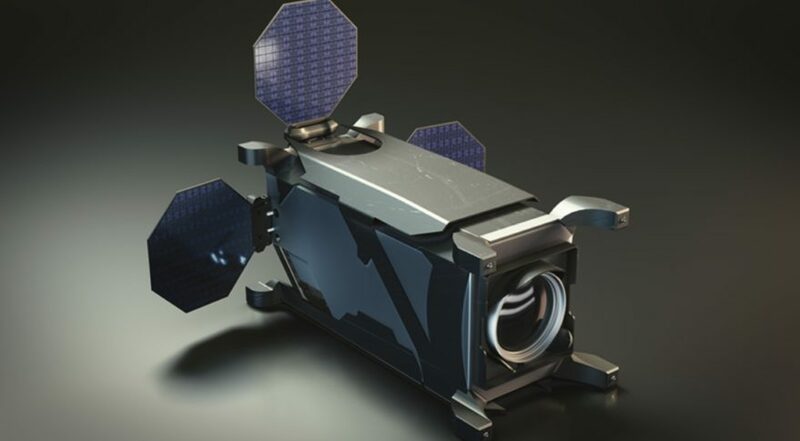 The company’s satellites will be enabled with a ground sample distance (GSD) resolution of between 1 and 5 meters, according to the available technical specification. Its communication satellites will be fitted with a capacity of up to 1 Gbps, according to Lapczynski. Under the plan, the Swiatowid will allow to measure cosmic radiation and electromagnetic interference. The size of the satellite will be 10cm x 10cm x 20cm, and the Swiatowid will weigh 2 kilograms. The two Rusalka nanosatellites will each weigh about 0.3 kilograms. SatRevolution has established a partnership with APworks, a subsidiary of Airbus Group based in Germany and specialized in metallic 3D printing, or additive manufacturing, to develop the satellite’s prototype. With the aim to put its satellites into orbit, SatRevolution cooperates with Interorbital Systems, a Mojave, California-based rocket, satellite, and spacecraft manufacturer. Interorbital has launched only low-altitude sounding rockets to date, but the X Prize Foundation confirmed last month that the company does have a contract to launch Synergy Moon’s lunar lander to the moon on Interorbital’s as-yet unflown Neptune rocket. “In the future, we will surely want to continue our cooperation with foreign suppliers and contractors, also to reach orbit, as it is not possible to make this happen from Poland’s territory,” Lapczynski said. Meanwhile, company representatives have announced that, starting this June, SatRevolution is planning to test its satellites before the first launch which is scheduled for the first quarter of 2018. SatRevolution says that its potential customer base includes mining exploration and production companies, environmental research institutions, large-surface farms, as well as militaries.